Pull an extensive list of communications professionals with Bookyourdata.com’s affordable and accurate data. This pre-built directory is full of high-value contacts in the world of communications. With this list, find those working in the communications departments at several different institutions. 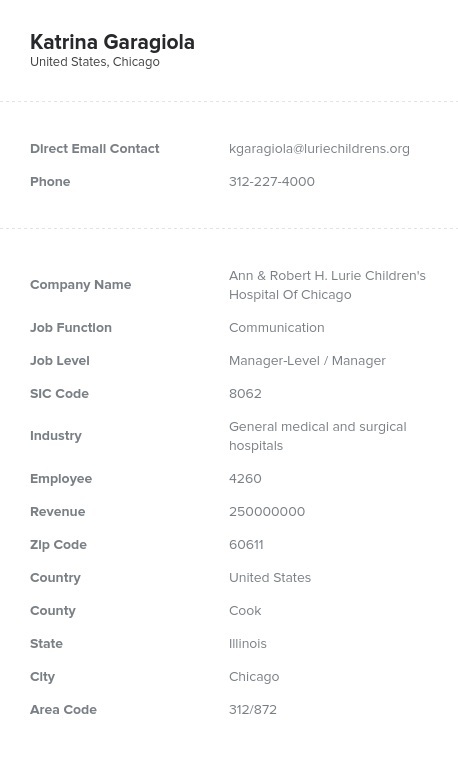 Easily find the contact information of those in the world of communications. These are some of the most highly sought-after contacts out there, but with Bookyourdata.com, you can download a vast database of those working in communications across industries for an affordable price. Find the emails, phone numbers, addresses, job titles, and names of those working in the communications field minutes after downloading this list! You'll have the data to really jump-start your B2B marketing campaign over email, phone, or mail. Communications professionals are the perfect target audience for many different groups. If you have a tool, product, or service that can assist communications professionals in sending press releases, marketing their product, responding to social media, or otherwise representing their company's brand to the outside world, use this dynamic list to let them know. In this list of those working in communications departments, you can find both staff and executives. Note that you can also customize this list to narrow your campaign even further or create your own solution with the custom-list-builder tool! Download this amazing database of highly valued contacts moments after purchasing. This data product can help boost your company's sales, so try it today!